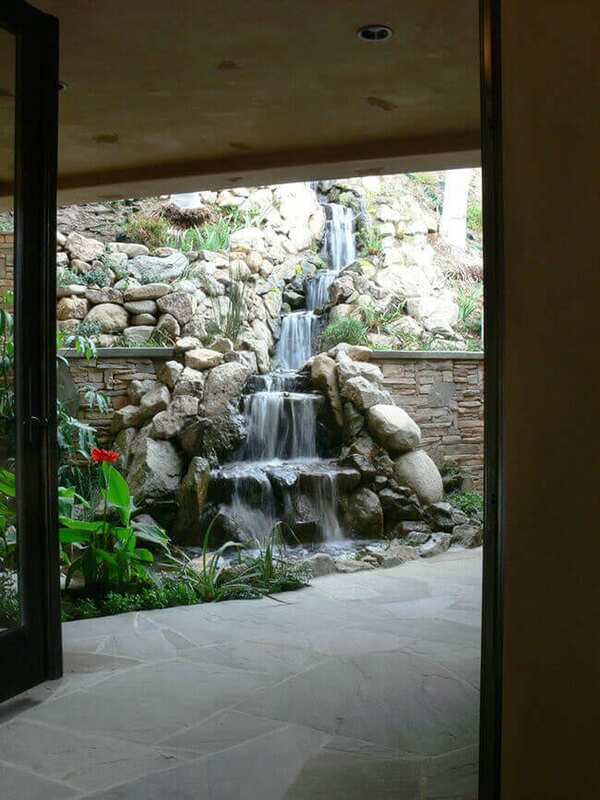 Waterfall Views Outside Your Window – Waterfall Built in a Small Space! 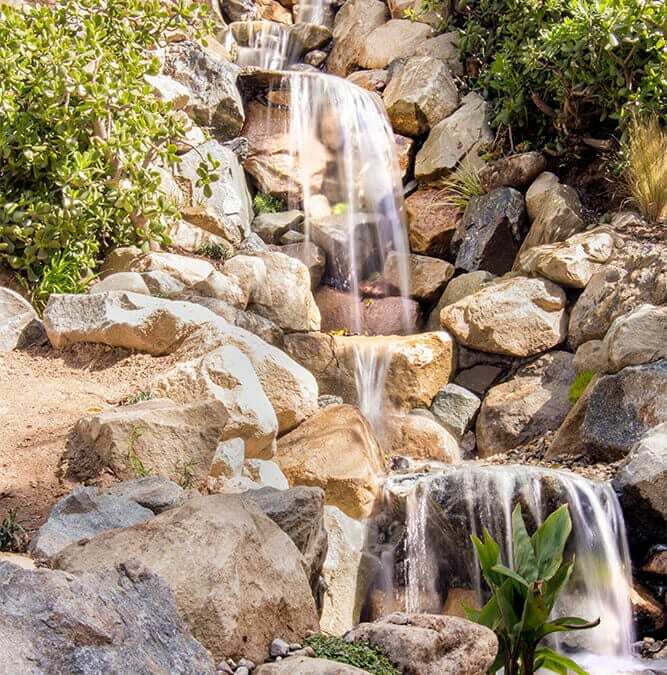 Steep Waterfall Built in a Small Space! 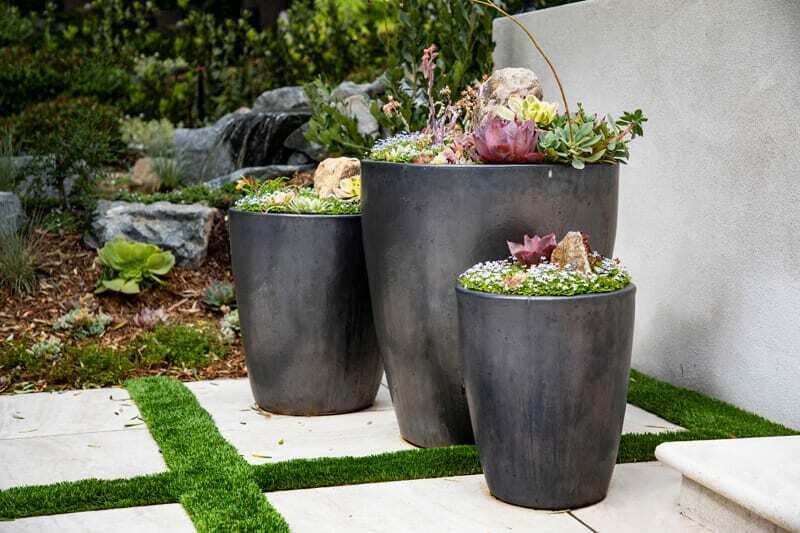 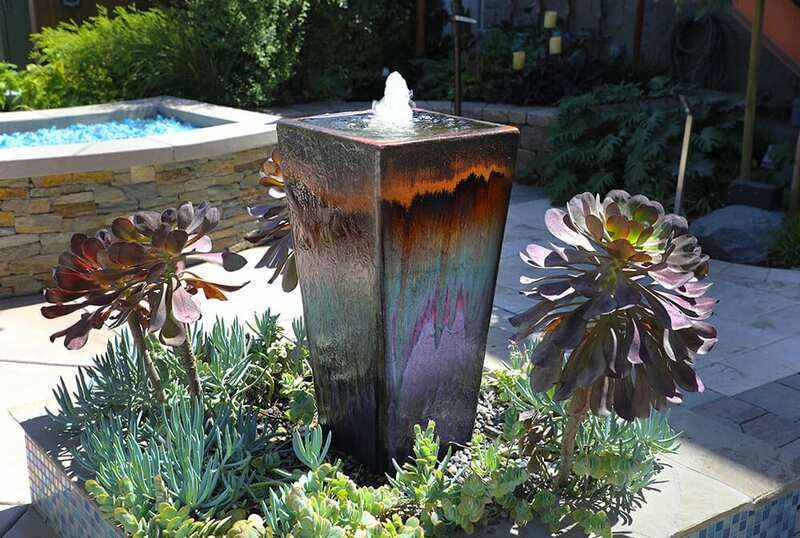 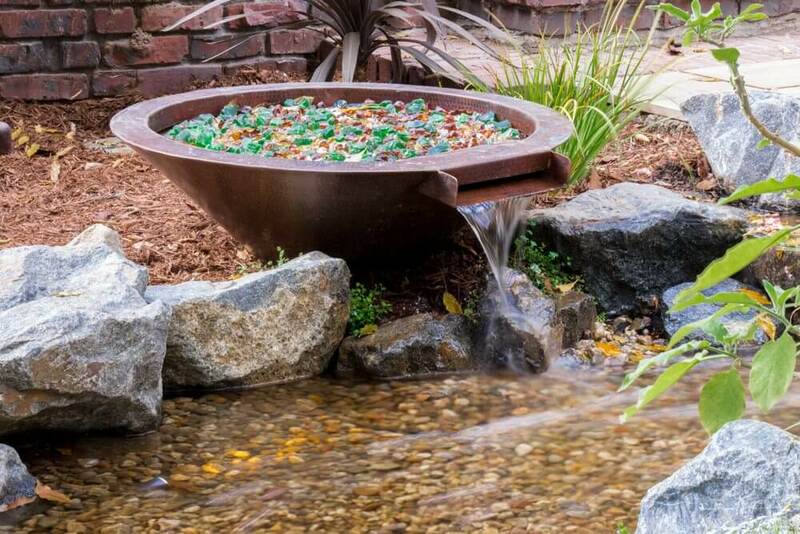 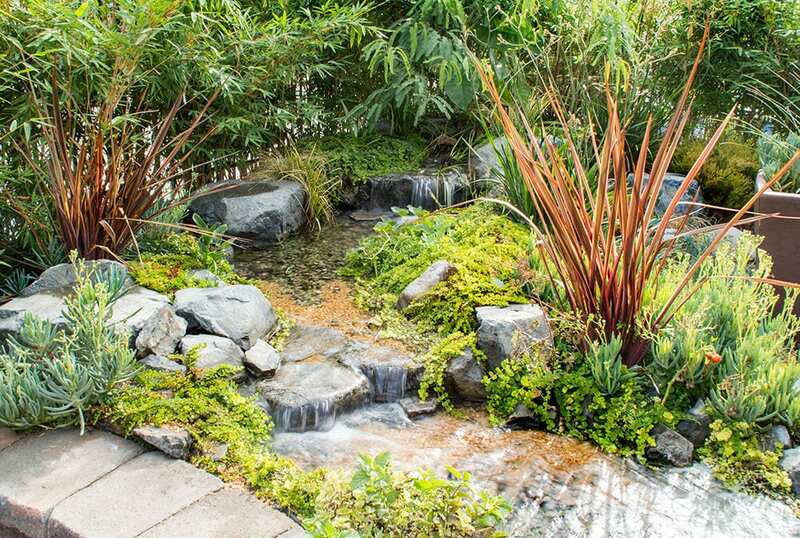 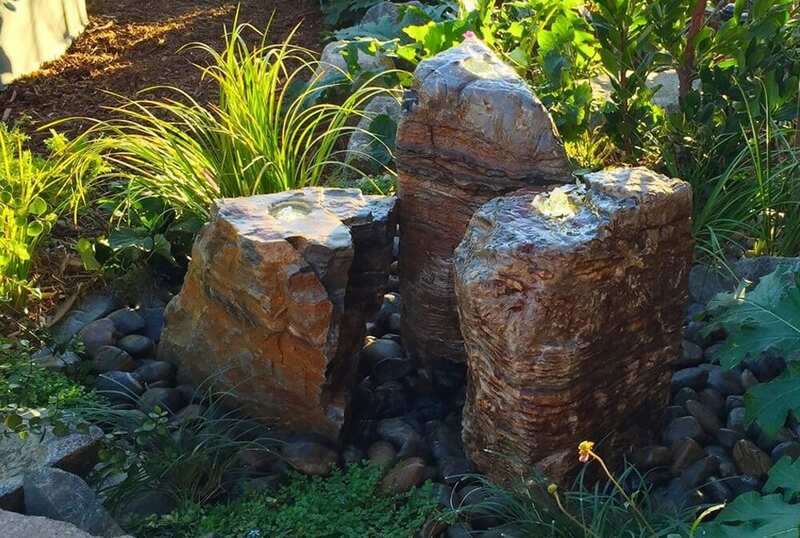 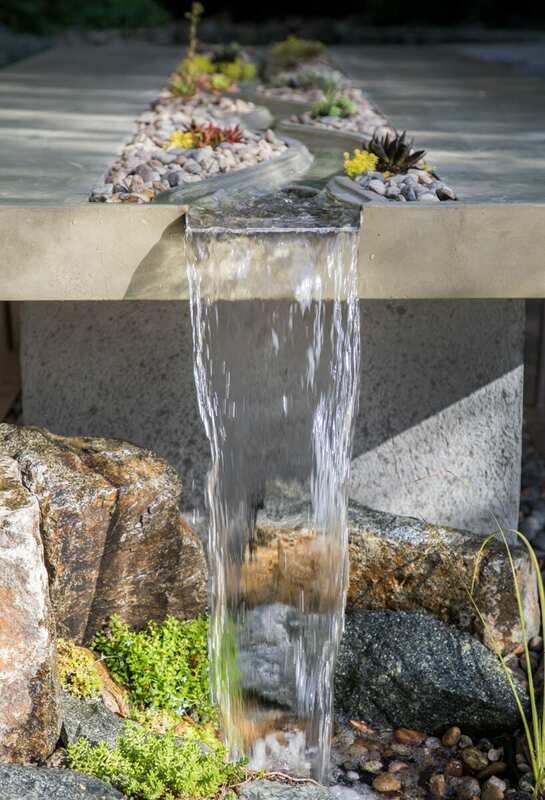 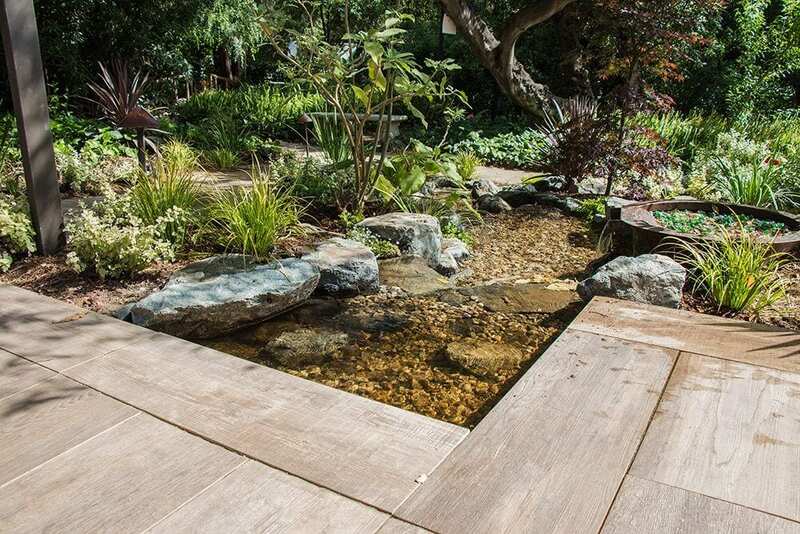 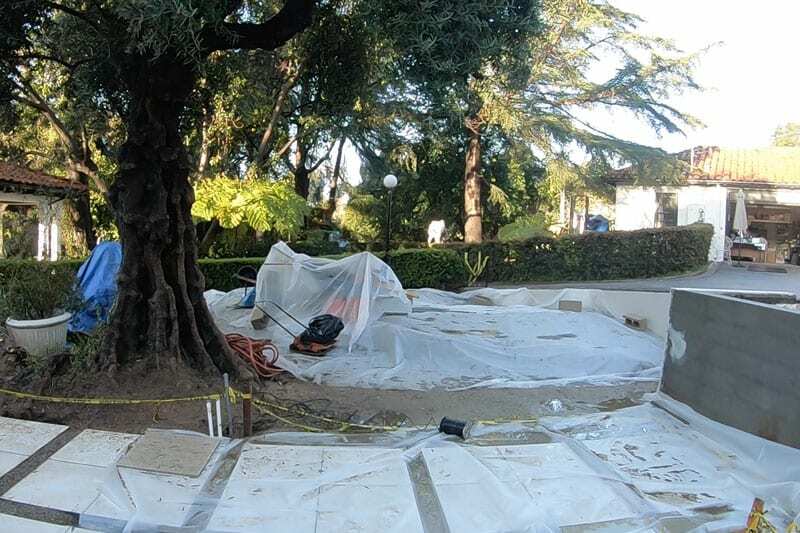 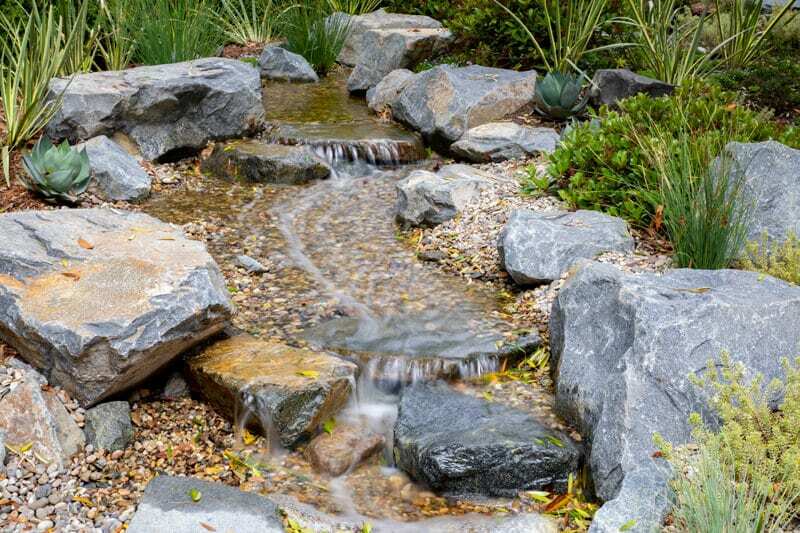 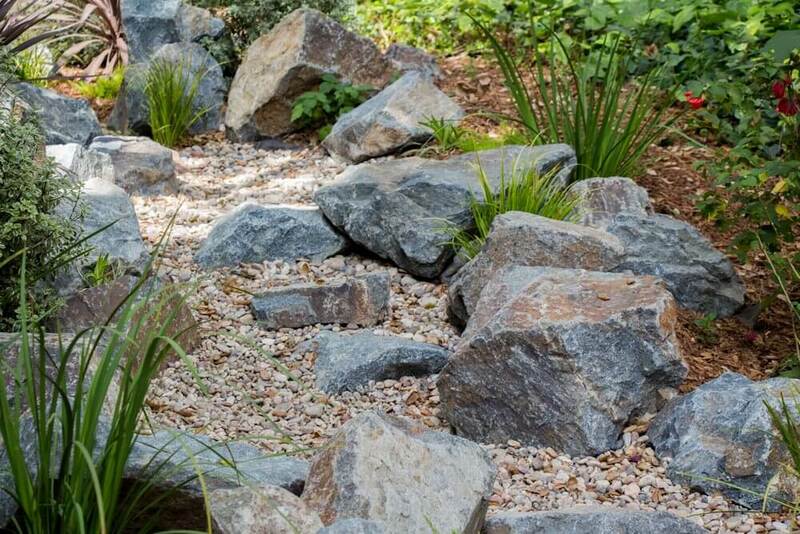 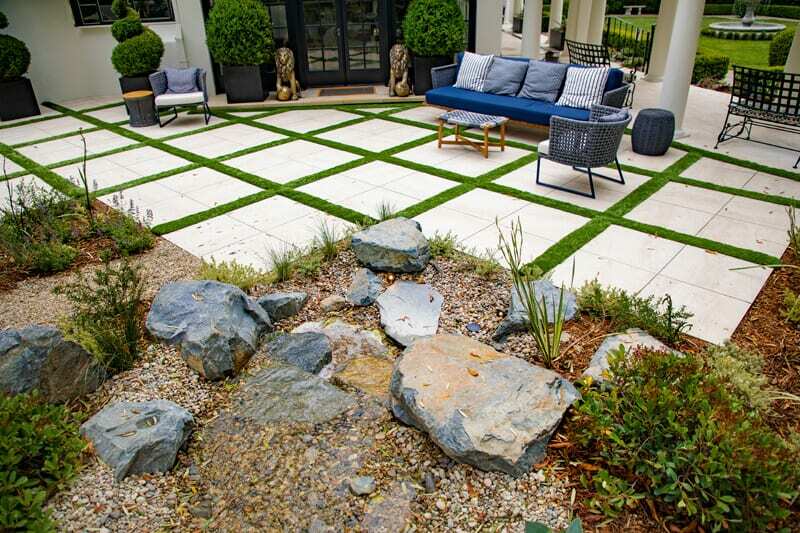 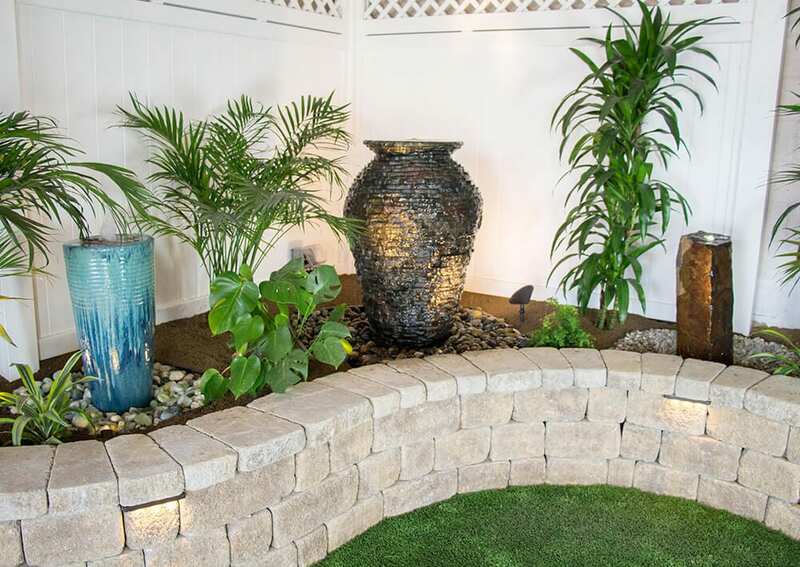 This homeowner had a very limited space to work with and they were worried it wouldn’t be possible to install a water feature in their yard at all! 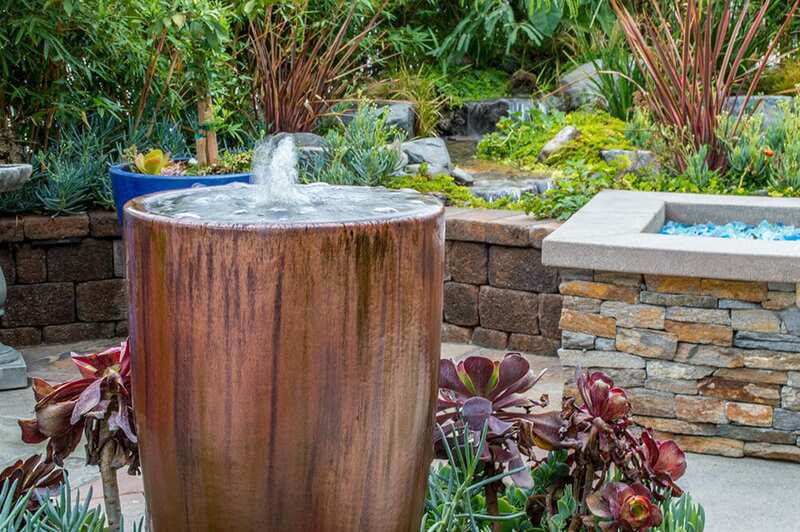 They were willing to settle for a small fountain when they called us, but we assured them we were up for this challenge in building them their dream waterscape at a larger scale than they could even imagine. 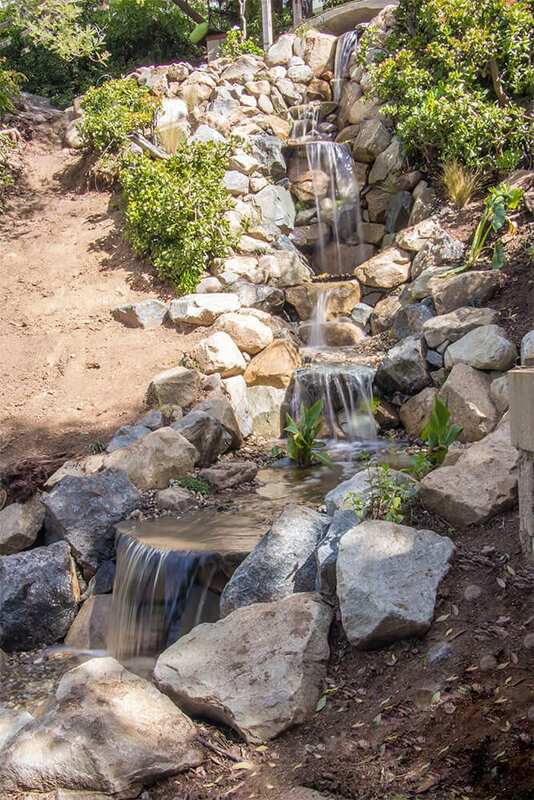 We turned this steep hill and retaining wall into their own personal secret garden. 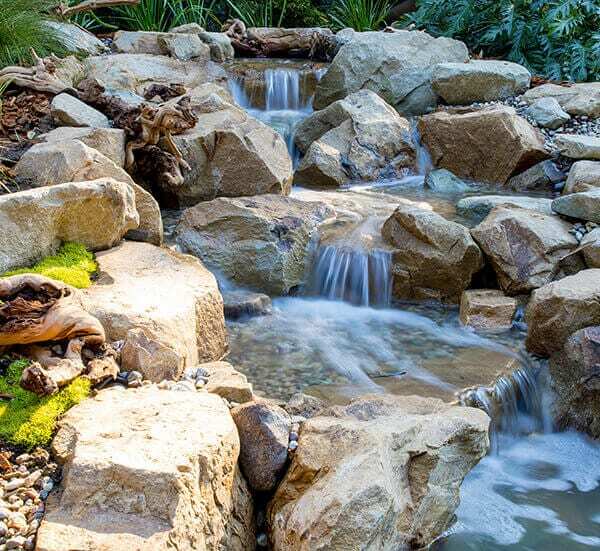 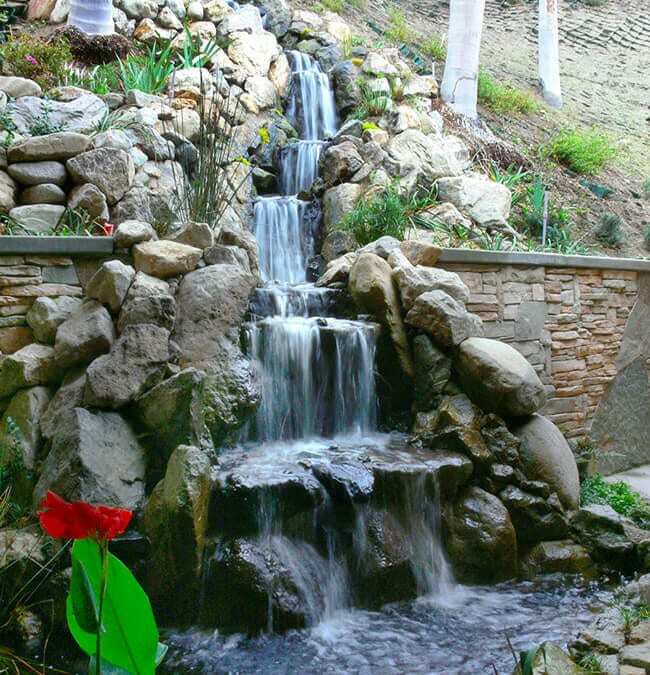 We constructed a waterfall that looked like the home was built around and existed naturally in nature. 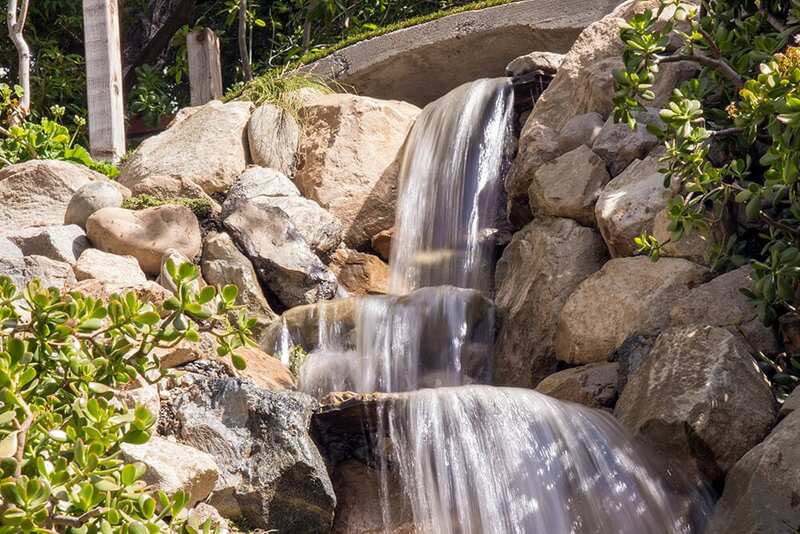 Our experts in waterfall building and masonry were able to ensure the retaining wall continued to do it’s job of holding up the hillside and keeping this waterfall in place for a lifetime to come. 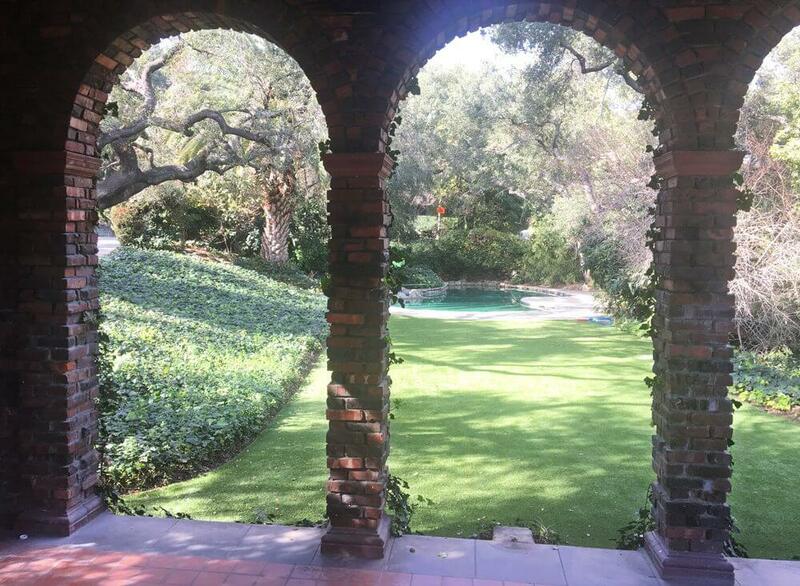 Imagine this right outside your window! 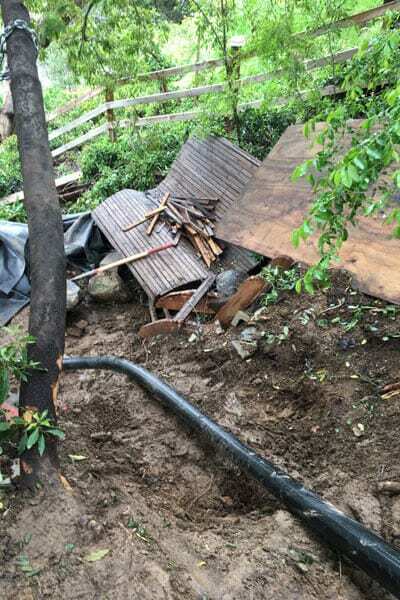 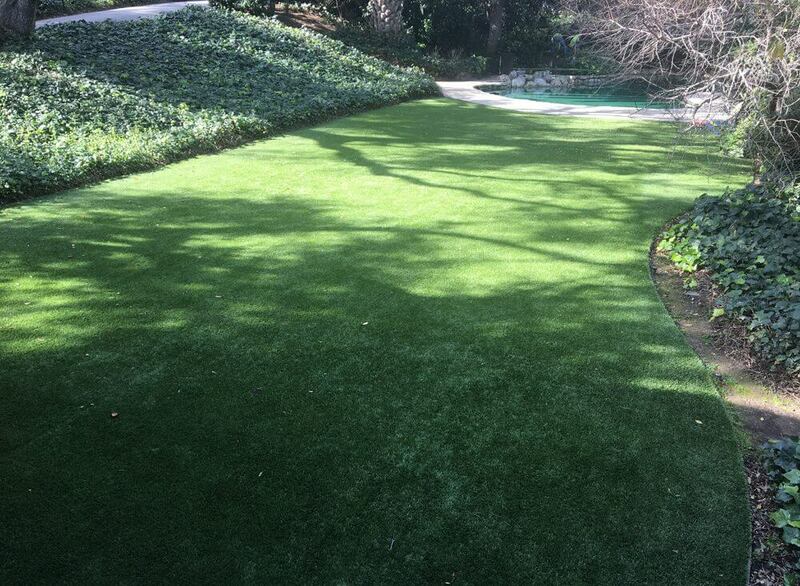 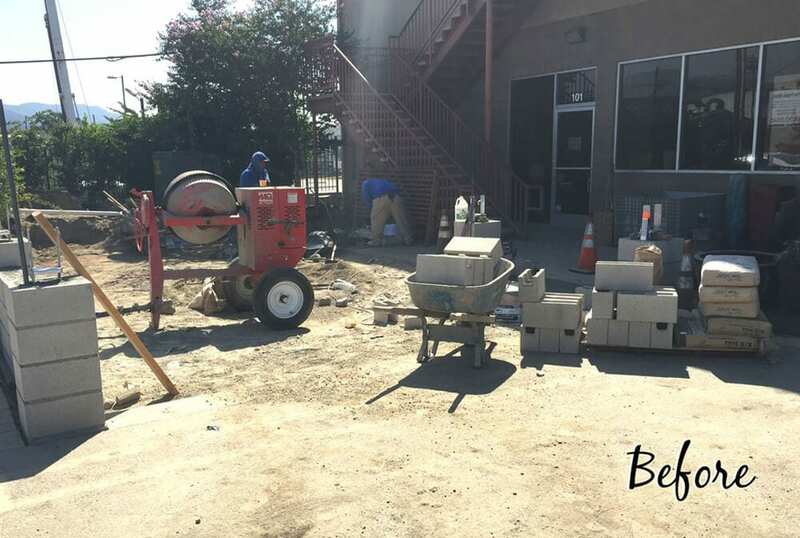 Our client’s property had been challenging to utilize properly. 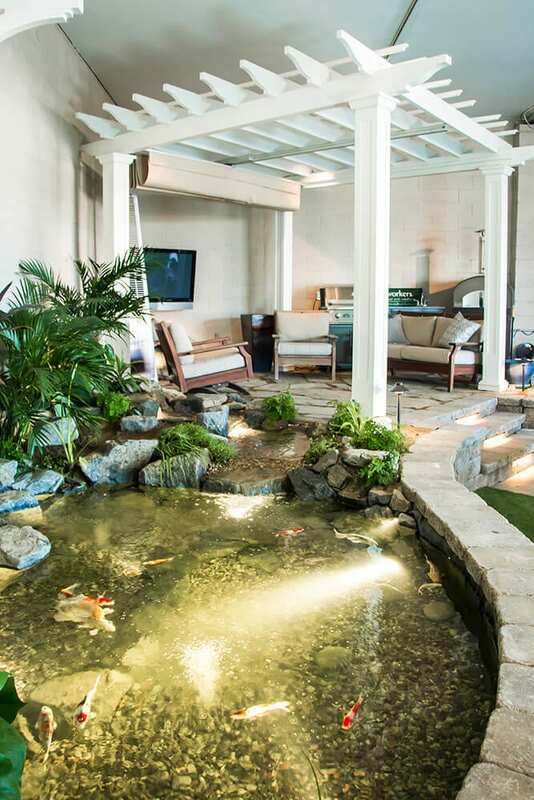 Their home was built on a very steep hillside and 50% of their backyard was almost unusable to entertain in. 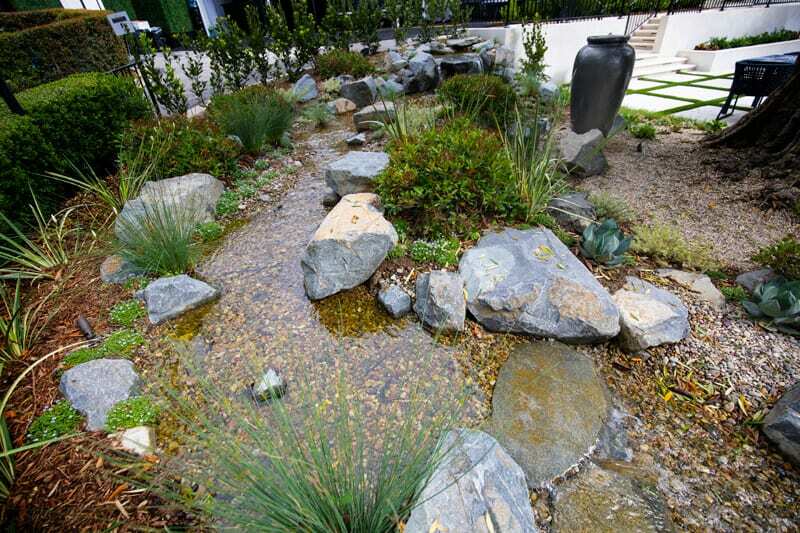 He is very passionate about nature and wanted something built that embraced the hillside instead of fighting it. 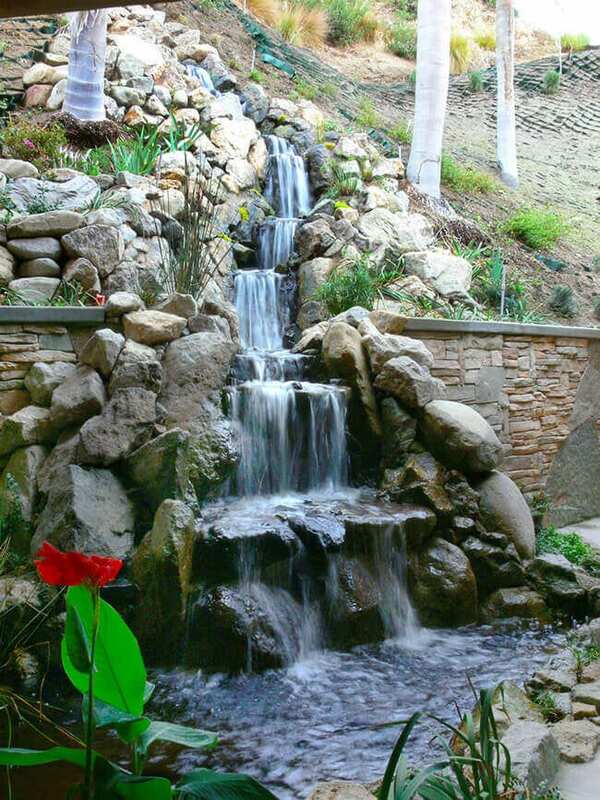 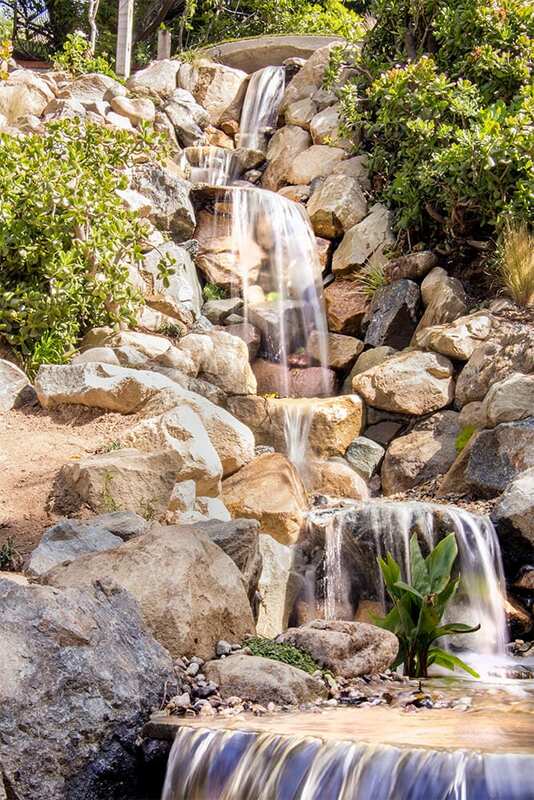 We successfully turned this dream into a reality with a huge 40’ waterfall cascading down to the lower level of his yard, hidden away and only accessible by hand placed natural rock stairs down to his “secret garden”. 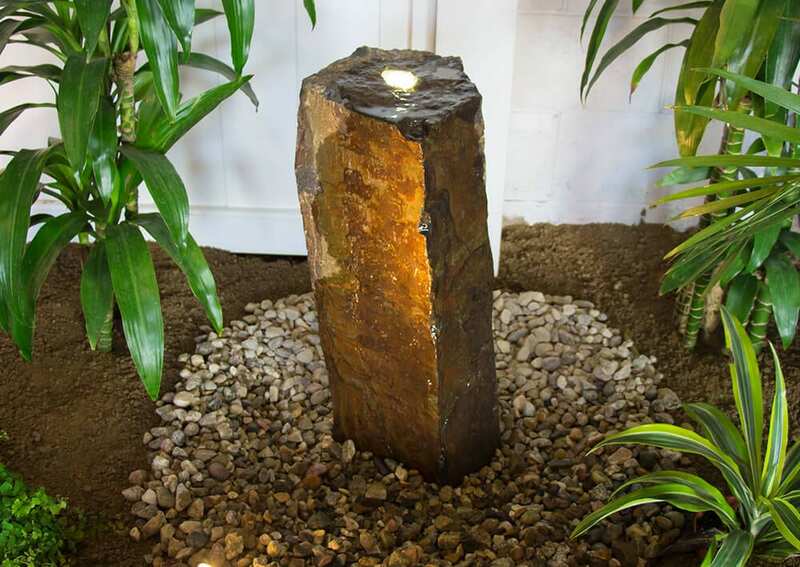 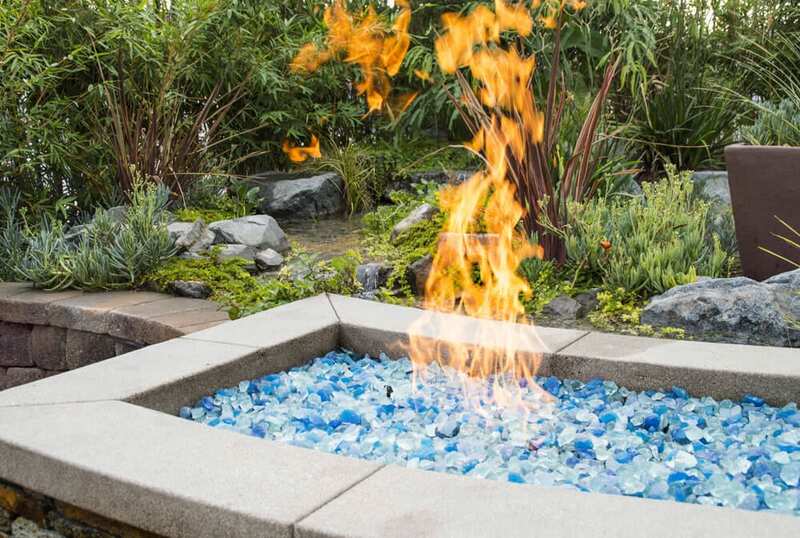 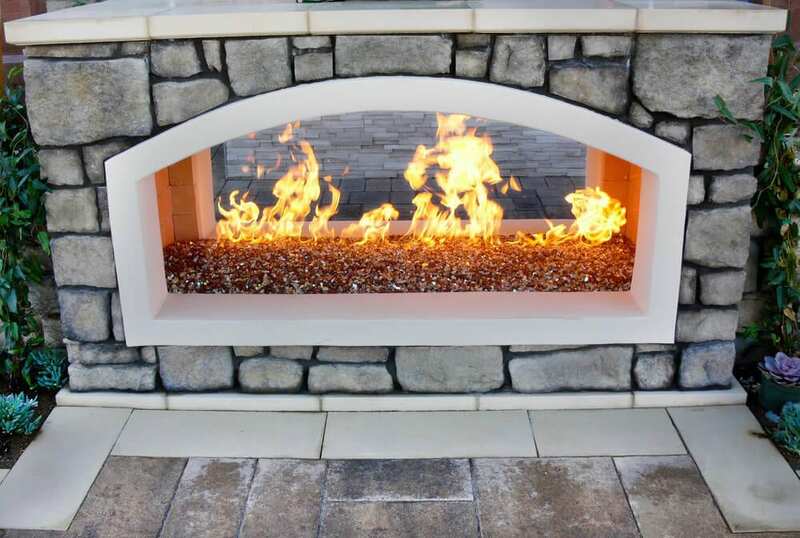 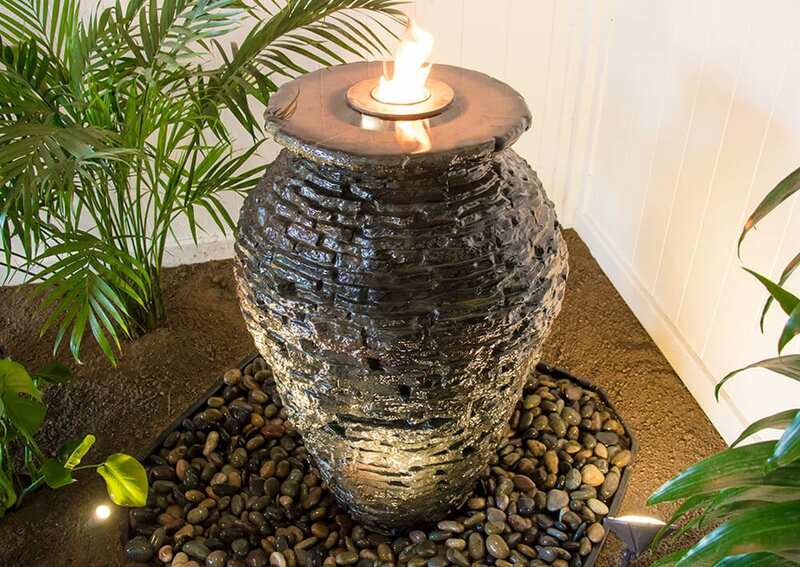 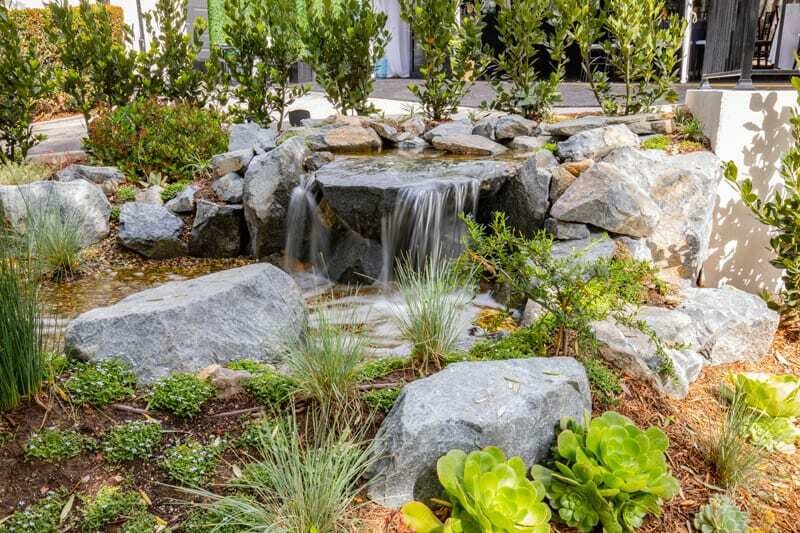 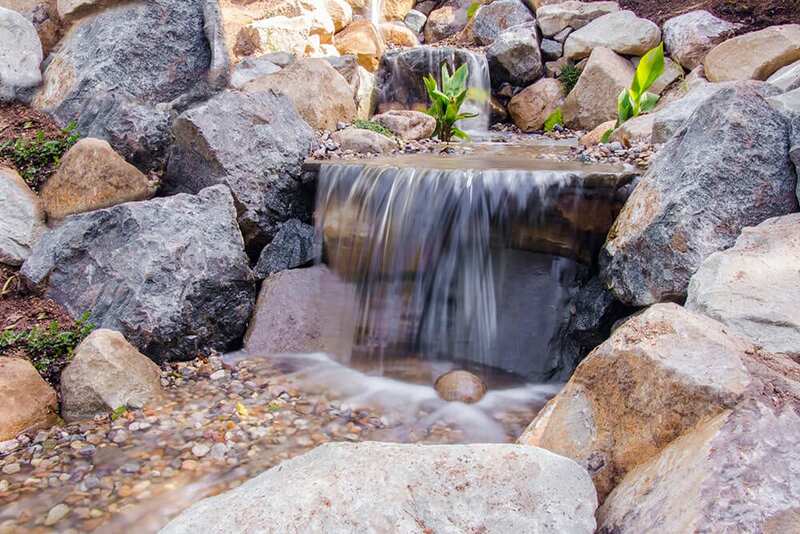 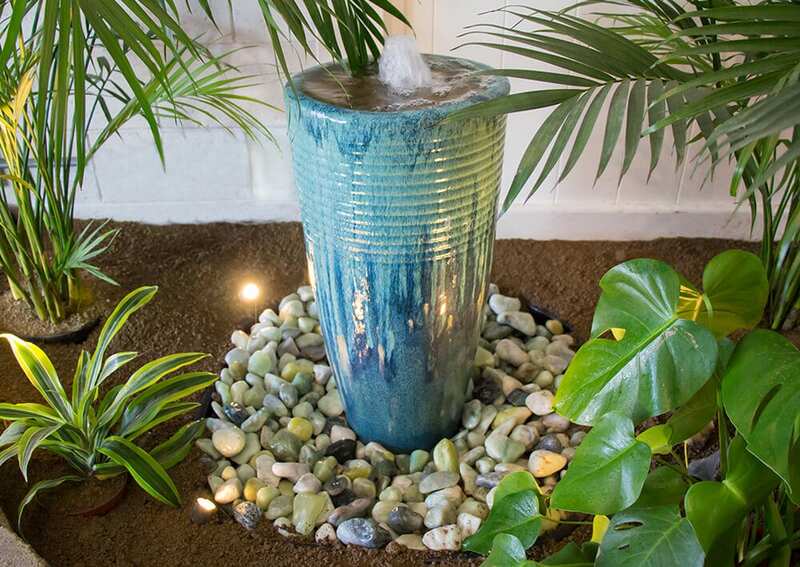 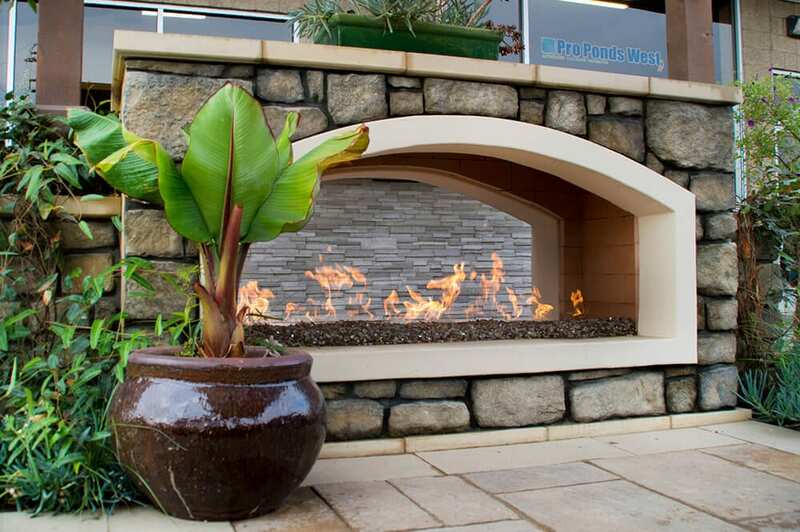 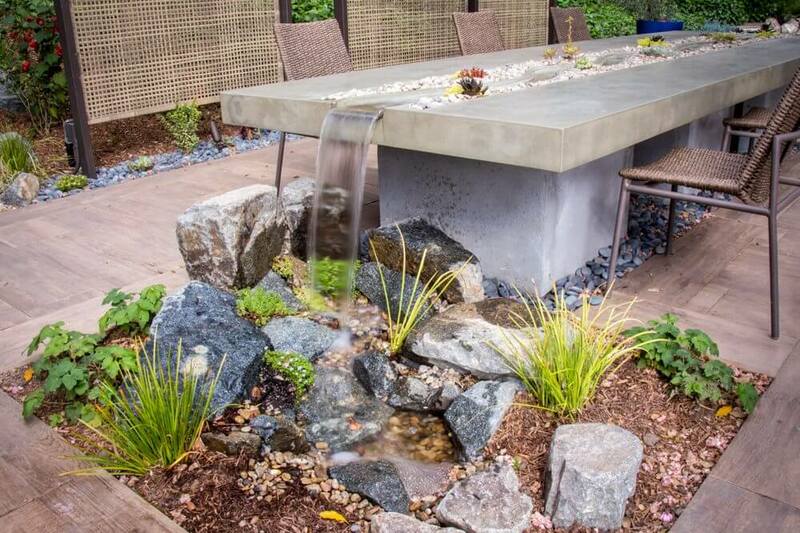 Our Storefront Remodel Pondless Waterfall, Fountains, Fire Features Oh My! 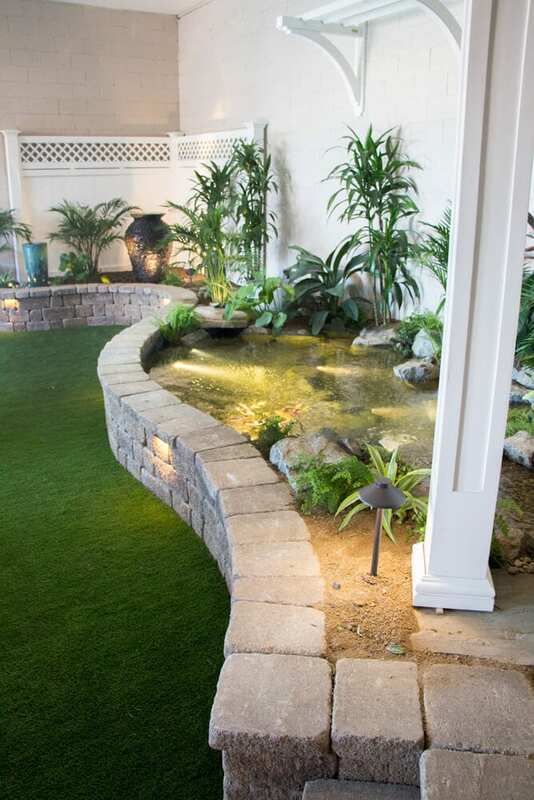 Our showroom recently went through a complete remodel to showcase what we do best. 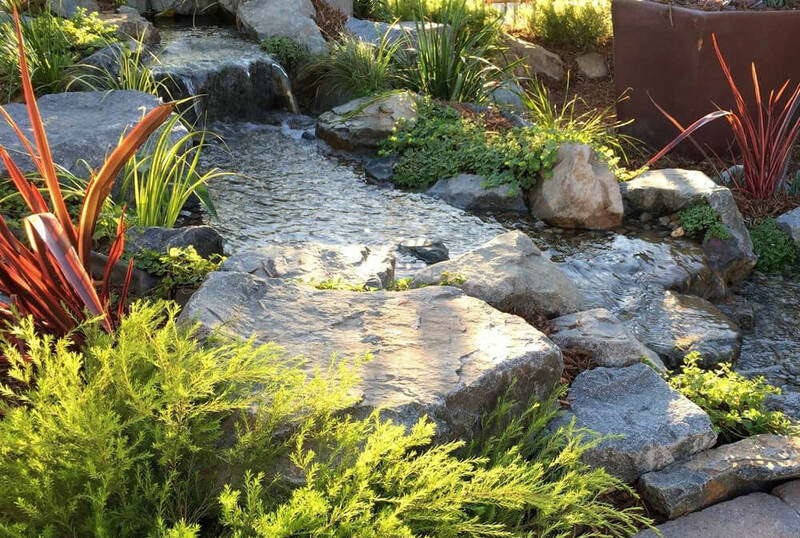 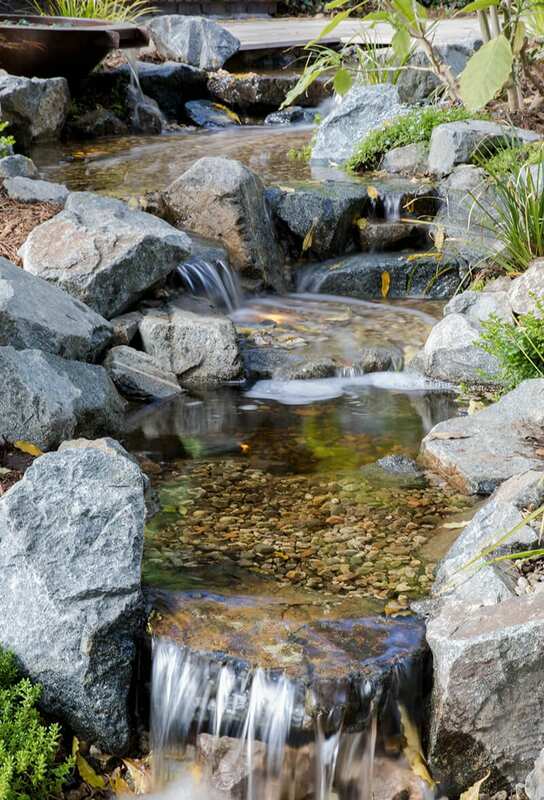 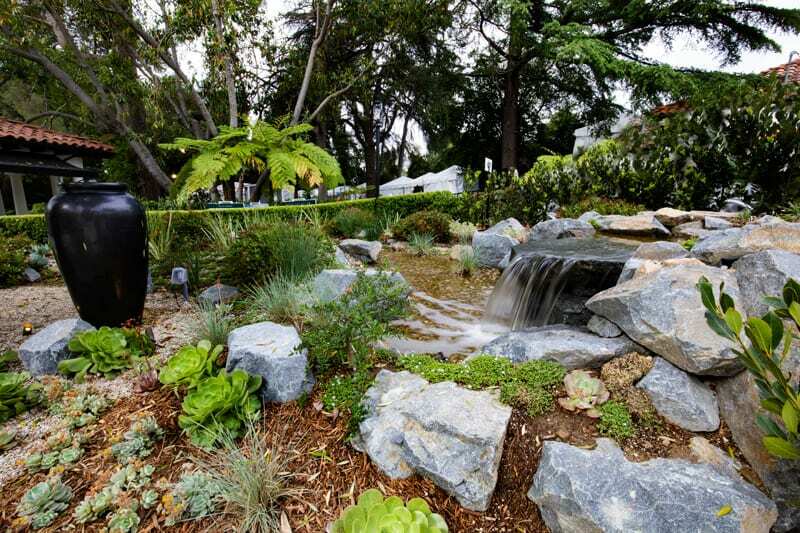 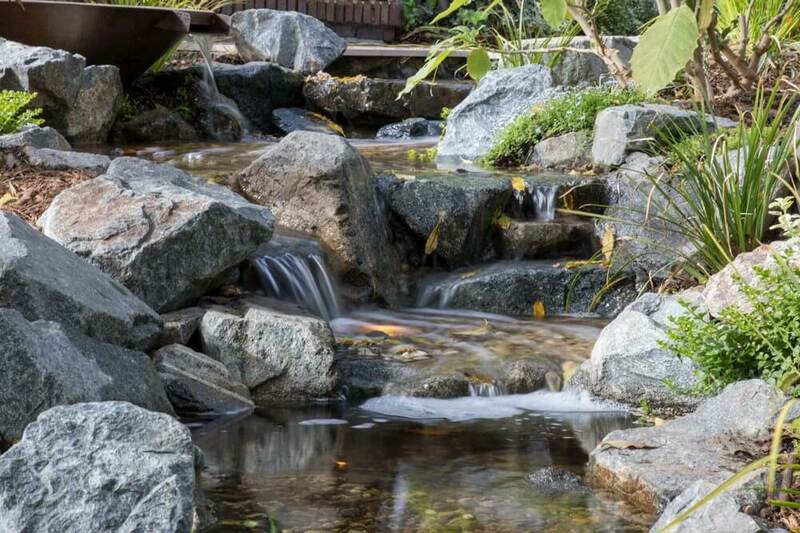 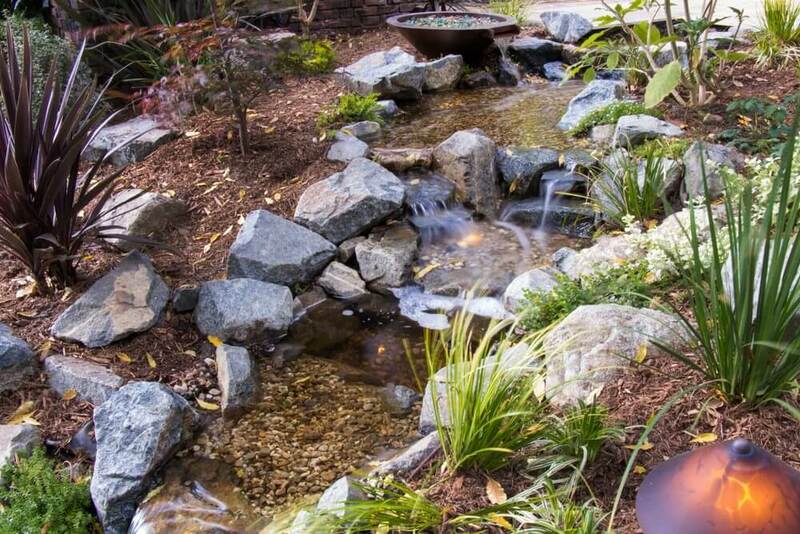 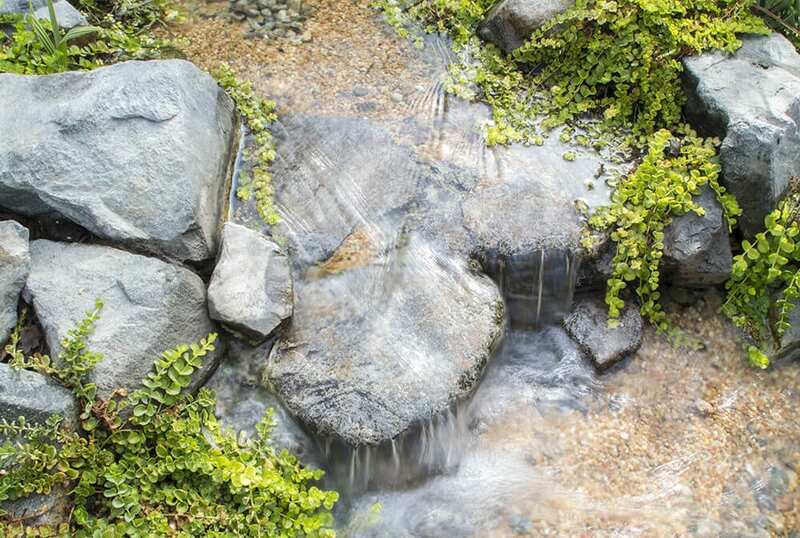 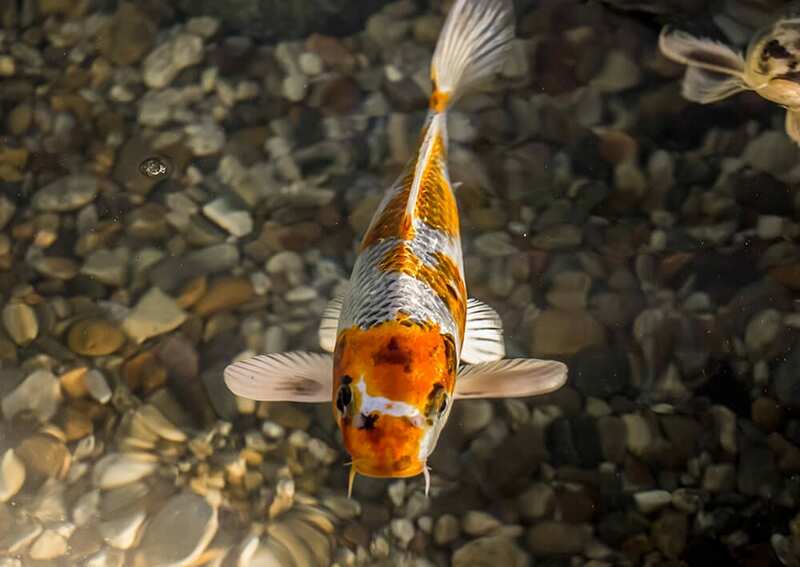 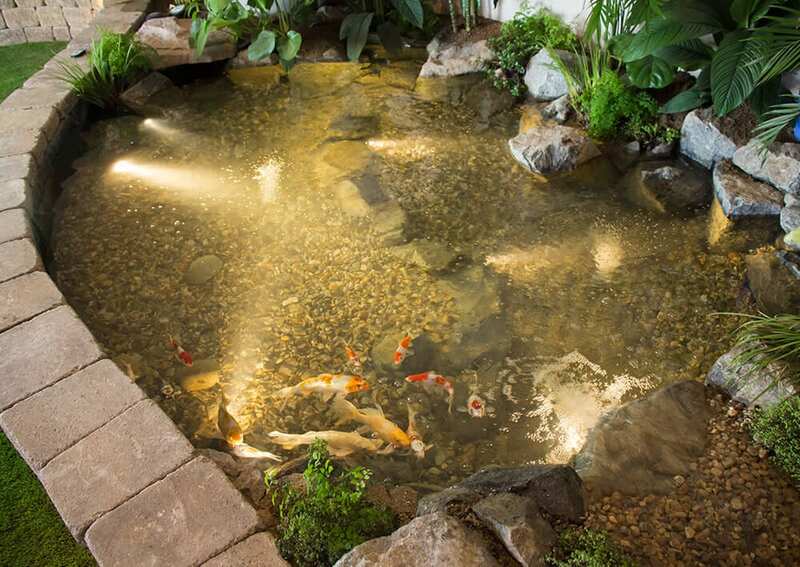 We installed new a brand new pondless waterfall steam, multiple fountains, fire features and an indoor koi pond! 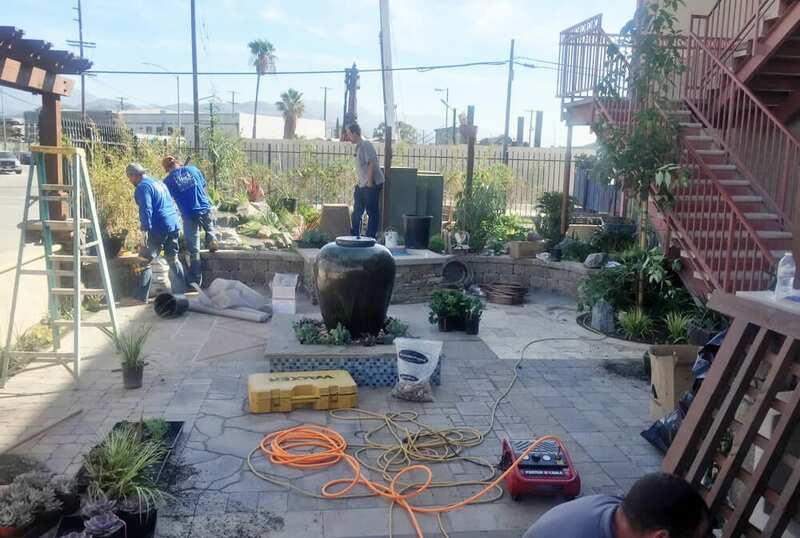 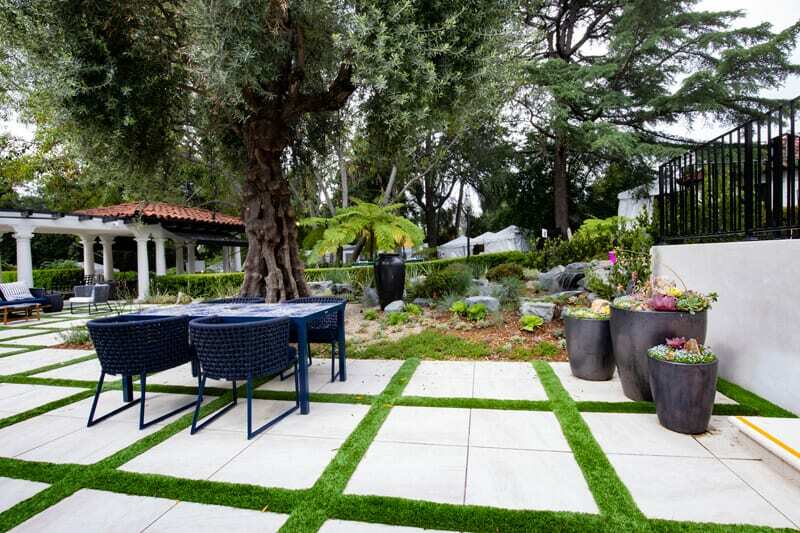 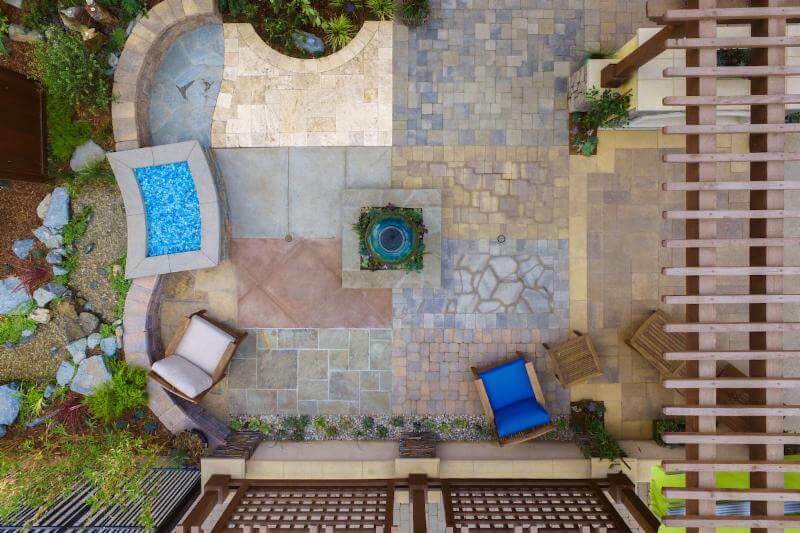 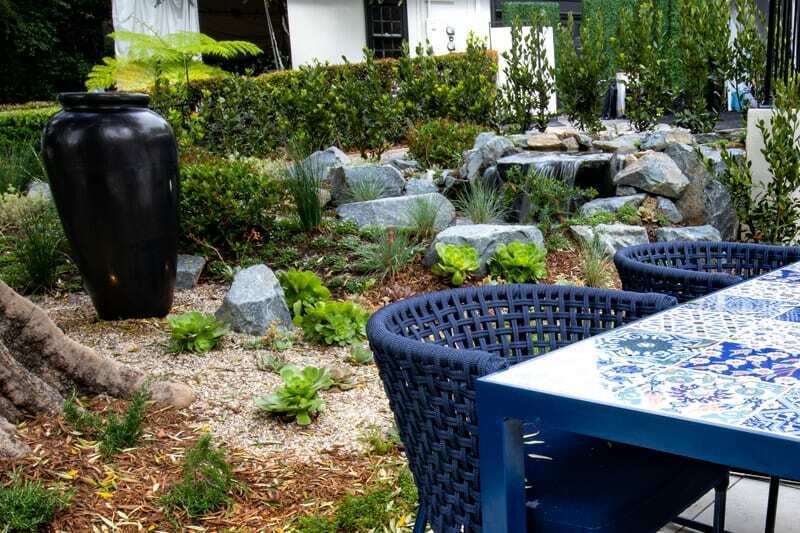 We partnered with our sister company Pacific Outdoor Living to show how our work looks best together, with a beautiful patio, pergola and landscaping.